According to the U.S. Census Bureau, Charlotte’s population has grown 64.6 percent between 2000 and 2010 making it one of the 10 fastest growing cities in America. Despite the recession and housing market, Charlotte has record population gains despite the national average of 10 percent population growth. Initially recognized as a transportation center, Charlotte is now the “second largest financial center in the nation, after New York,” said Bob Morgan, president of the Charlotte Chamber of Commerce. Jobs at big banks like Bank of America, Citi, Ally Financial, JPMorgan and Wells Fargo have helped the city grow tremendously. 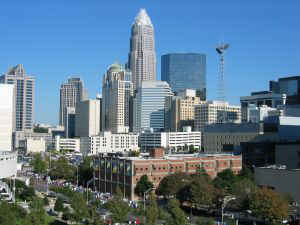 Because of this population growth, there was an increase in demand of Charlotte new homes. Another North Carolina city that has overcome the odds despite economic instability is Raleigh with a 63.4 percent growth between 2000 and 2010. Because of the high percent of population growth, there has been an increase in building Raleigh new homes. Named after Sir Walter Raleigh who popularized tobacco use, the city of Raleigh once depended on the tobacco crop for economic success, but now Raleigh is known for its intellectual hub of many technology firms. These firms include Red Hat, an open source software company and Etix, a web-based ticketing company for sports, entertainment and travel. For a complete list of the 10 fastest growing U.S. cities visit CNNMoney. For more information on Carolina real estate, visit the website. This entry was posted in Charlotte new homes, Featured, Raleigh new homes and tagged Charlotte, CNN Money, North Carolina real estate news, Raleigh on June 5, 2012 by Carol Morgan.